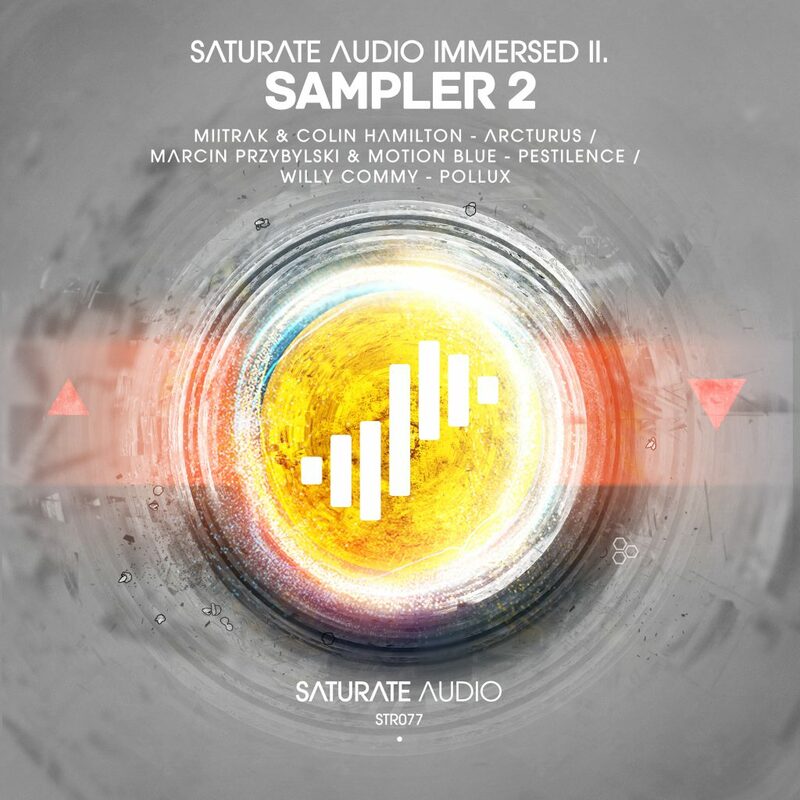 Saturate Audio Immersed II Sampler 2 is here! Including MiiTRAK & Colin Hamilton from Glasgow with the fantastic “Arcturus”. Definitely one of the most club oriented tracks from the compilation, with bouncy drums, thumping basslines, techy touches and old rave style organ riffs in the breakdown until it splashes all over the place in the big and bold climax. Polish duo Marcin Przybylski & Motion Blue delivers the fantastic “Pestilence”. Progressive tech trance meets house production with focus on the grooves, the vavooming basslines and siren like synthy riffs. Attention to detail and incredible progression of the various key elements in order to welcome the listeners in the finest possible way. Last but not least, the very talented Willy Commy his “Pollux” The melody is simple but very infectious and the whole composition keep you locked, absorbed and immersed to sound tapestry that he knows so well to put in place for your ears. !